Come and enjoy the charm and history that awaits you in Oriental, NC. We have some of the most beautiful sunsets you will ever see. Clancy's Marina boasts quiet, protected waters at the confluence of Smith and Camp Creeks. We are conveniently located within walking distance of Oriental's business district, minutes from the Intra Coastal Waterway and the Neuse River, and we have an NC wildlife boat ramp at the end of the street. Check out some of our other benefits for tenants. Check out our Brand new Restroom Facilities on Site! Meet the Friends of Clancy's Marina! 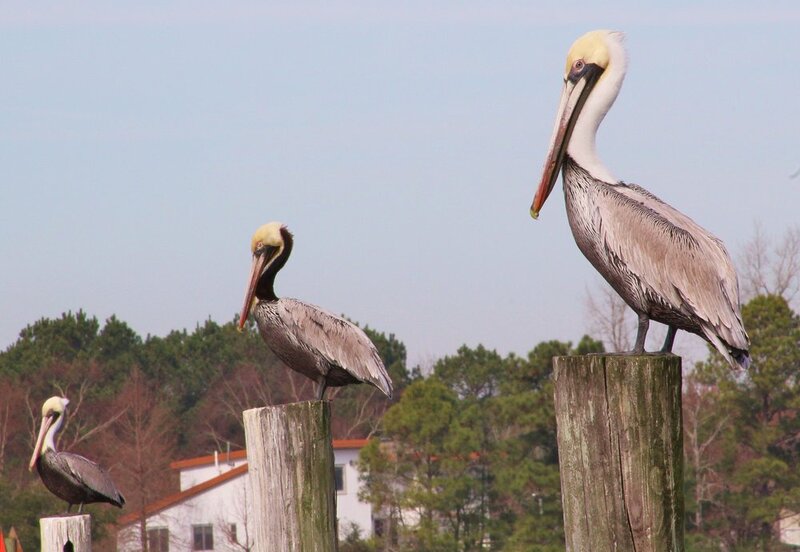 We love the natural scenery all around us here in Oriental, NC. Check out the gallery below of some of the visitors who have come for a visit to Clancy's Marina! All photography provided by Candy Bohmert.